You are currently based in Portland, OR... Are you originally from the area? If not, where are you from & how did you end up on the West Coast? I was born in Havre de Grace, Maryland, and grew up in Fairfax, Virginia, just outside of the nation's Capitol. My dear ole dad hails from Eugene, Oregon, and after five years of working in the wine business in Washington, D.C., I was offered a unique opportunity to visit Oregon to attend a wine industry event in 2004 called Oregon Pinot Camp. I had always wanted to visit Oregon - so it was an exciting opportunity. After about 3 hours in Oregon, I knew I wanted to make a new start in the great Pacific Northwest. At the end of Pinot Camp, I had a prospective employer in Erath Vineyards, and about three weeks later, they flew me back out for a formal interview, and in early October of 2004, I moved to Dundee, Oregon, about 45 miles SW of Portland in the heart of the Willamette Valley. What was the spark that ignited your interest in wine? Well, to begin with, I grew up in a home with a very continental worldview on food and wine. My parents had lived in Germany from 1968-70 and came away from that experience loving the Rieslings. My mother's family is Italian and Austrian, with our relatives connected to wine production in Caserta, Italia, and cooperage in South Burgenland, Austria. My great uncles would make their own wine, and, there was something very casual about wine drinking at our family dinners and milestones, the wine was simply a part of the meal. Food was always a thoughtful and important part of our home, and both of my parents loved to cook. We were always introduced to unlimited flavors and food styles from around the globe. Dad was much more adventurous in the kitchen, and my mother made very traditional, beautiful, nourishing food (she was a dietician). The connection between food and wine started early for me. Professionally, I had a few a-ha moments. A 1997 Heitz Martha's Vineyard Cabernet Sauvignon with it's wonderful, complex notes of Eucalyptus. And, the 2002 Joseph Drouhin Grand Echezeaux Grand Cru. My eyes really opened up to wine with such a new found curiosity and excitement. But, possibly the most profound moment of discovery came for me when I started working with France's Loire Valley wines included in the portfolio of Louis Dressner Imports - I had discovered fresh, lively versions of Cabernet Franc that were fruit forward with vegetal and peppery characters appearing as secondary or tertiary components of the wines; I was mesmerized by their beauty and complexity. I started out co-managing a wine shop in the Dupont Circle neighborhood in Washington, DC. That really whet my appetite for international wine appreciation. I then worked at Chrysalis Vineyards in Middleburg, Virginia as a tasting room and hospitality manager. That provided my first glimpse into production, what it's like to work at a winery, and on the supplier/retail end, straight from the source. I then knew I needed more international wine experience, so, I took a job working for a wholesale distribution company in DC, where I managed sales accounts for about 80 fine dining restaurants and 5 "bread and butter" retail accounts. I also enrolled in the Wine & Spirit Education Trust, LTD certificate programs. I took my first examination in New York City in 2002. Those early work experiences and education gave me the solid basis and depth for my wine appreciation and wine industry knowledge that I needed to navigate a successful, fulfilling career. At what point did you say to yourself, "I want to be a winemaker".... Did you have a certain type of flavor palette in mind/the use of certain grapes? And did you have any help from seasoned wine makers in the Oregon area in getting started? My first real gut inclination to want to make wine started when I worked at Chrysalis Vineyards in Middleburg, Virginia. I was envious of the then assistant winemaker. I wanted to ditch my desk job and the tasting room to crush grapes and get involved in the wine production. I was fascinated by all of the aspects of winemaking. I felt like I was so far removed from the possibility of making wine at the time - I didn't see hardly any women in the cellar, and so many of the winemaking professionals in Virginia had enology degrees from Virginia Tech or Cornell. I gave up on the dream at that time and continued along in sales and, eventually, marketing, too. But, years later, the bug kept biting me. After working at a couple of pioneering wineries in Oregon and Washington, I knew it was time to bite the bullet, leave my steady paying job, and take the plunge into harvest intern work. My first full crush was in 2009 at Anne Amie Vineyards in Carlton, Oregon. I then enrolled in the Enology program at the Northwest Viticulture Center for a two-year degree program. In 2010, I went on to work for Drew Voit, the winemaker at Shea Wine Cellars, and also helped him with his production of his own brand, Harper Voit Wines. In 2011, I produced my first vintage of my own wine - a mere barrel's worth (apprx 750 pounds) of my Blanc de Cabernet Franc, at a nearby facility. I would work at Shea, then run down to check brix and temperatures during fermentation, then dash back up the hill to Shea to finish my long harvest days. Drew has been an incredible mentor. After the 2011 harvest at Shea, I followed him to the facility, Beacon Hill Winery, where we, along with two other friends, are currently making our wines. In 2012, I worked one more harvest, this time at Alloro Vineyard, while working on my second vintage of my own wines at Beacon Hill. And, in 2013, I focused 100% on my own production. I knew from the beginning that my focus would be on a Loire style of winemaking, centered around Cabernet Franc. I have been obsessively trying to craft Cabernet Franc wines that are lithe, silky, fruit-forward, with interesting components derived from the typical peppery character, and offering the unique Loire expression of graphite or pencil shavings, along with tobacco leaf and cedar box. It's gratifying to achieve many of these layers in my wines. It means I am able to make distinctive lots of Cabernet Franc from specific vineyard sources that I love, and changing the way American Cabernet Franc is produced. I believe these wines are as expressive and supple, elegant, and delicious as some of the region's most coveted Pinot Noirs. I didn't set out to be a pioneer in my industry, but, I am so committed to delivering Cab Franc to its rightful place in the American wine world, I want to be part of something that is not a trend, but, an evolution of a grape that was, more or less, getting mistreated. Perhaps Cab Franc is the ultimate Cinderella grape. The other stepsisters have cast Cab Franc aside, but, the perhaps I'm presenting a kind of glass slipper to showcase how beautiful Cab Franc really is - and how worthy she is of being the belle of the ball. 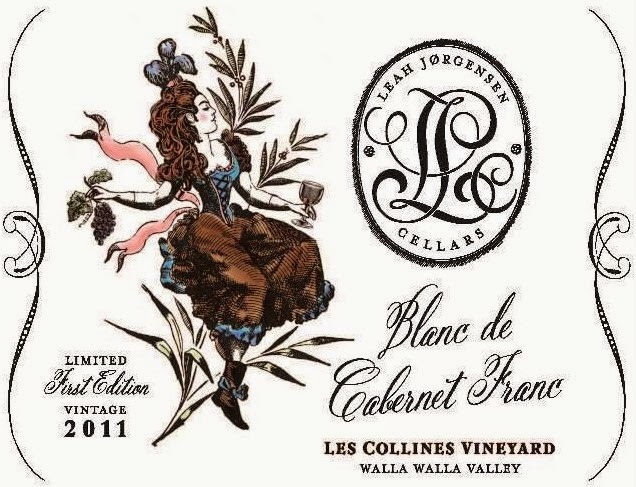 What types of wine does Leah Jorgensen Cellars produce? Do you consider yourself a boutique vineyard -- offering a limited number of bottles of your creations? The world's first commercial white wine made from red Cabernet Franc grapes - no skin contact. Sourced from Mae's Vineyard in the Applegate Valley. - Loire comparison - try a Crémant de Loire sparkling wine (blanc de noir) made with Cab Franc grapes. Blend of 40% Gamay Noir, 60% Cab Franc, inspired by the delicious red blends from the Touraine region in the heart of the Loire Valley. The Gamay is sourced from the Willamette Valley, and the Cab Franc is sourced from the Rogue Valley. 100% Cabernet Franc from Southern Oregon (Applegate and Rogue Valleys). My flagship red wine. - Loire comparison - try the Bernard Baudry Chinon wines. 100% Cabernet Franc from the Rogue Valley. My very best barrel selections are blended for this wine. - Loire comparison - try the "Clos Rougeard" Saumur Champigny wine. I also produce a small lot of wines sold as fundraising wines, including my 2012 "Flat Track" Cabernet Franc to benefit Portland's Rose City Rollers roller derby league. In 2014, I will be making small amounts of Sancerre-style Sauvignon Blanc and "Côt" Malbec for my wine club. I do not own a vineyard at this time, but, I have plans to plant a micro test vineyard in southern Oregon. I am absolutely an über-boutique producer, and in 2014 I will be making nearly 1,000 cases of wine. That's a big jump for me, but, a wee drop in the bucket in the world of wine production. 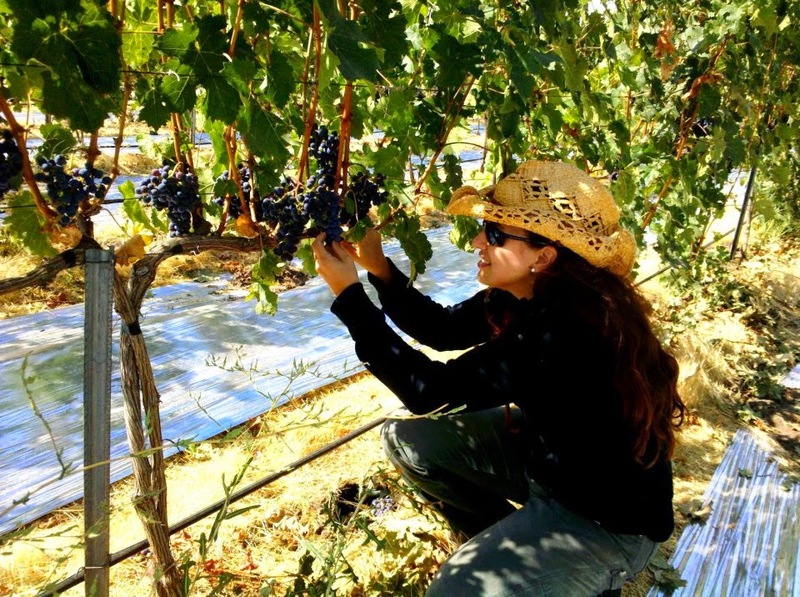 Has being a female wine maker in a predominantly male driven field impacted you in any way? Definitely when I had the very first inclination that I would like to make wine - that was back around 2002. I didn't have the confidence to proceed. 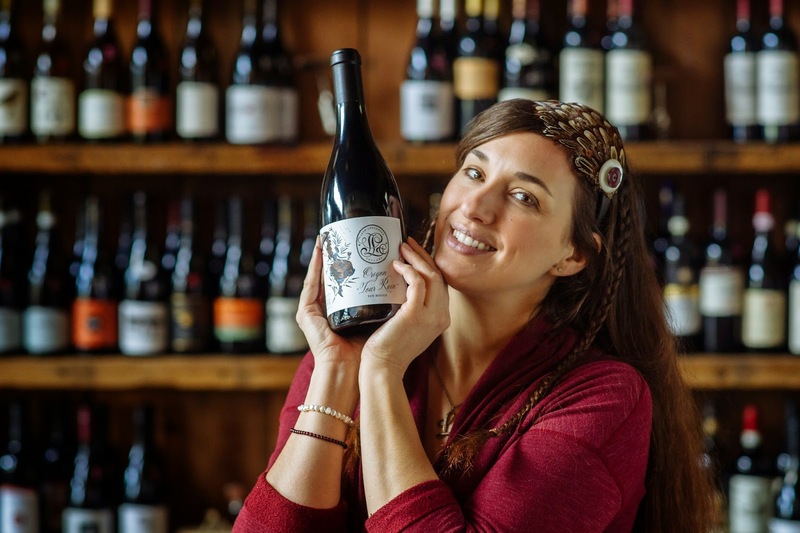 While there are still largely male run wineries in the world, I learned Oregon has more women winemakers per capita than any other winemaking region. I think that's very cool. I am very aware of my strengths and weaknesses as a woman winemaker - I don't really see it as "it's us against them", but, what can I do to improve myself and challenge myself to be a better winemaker, irrespective of my gender. As I get older and face new obstacles, like dealing with ongoing physical therapy from a car accident, or what have you, I will ask for help when I need it - not just for the heavy lifting or other physical work, but, for anything I need help with, or any advice I need in production protocols. There's a lot of ego in this business, and, I am operating from a completely different vibration. Is that related to gender differences? I don't know. But, I'm not afraid to ask for help when I need it - and when I'm asking for help, 95% of the time I am asking a man for help. I guess I'm just grateful that I have a small but exceptional group of talented, experienced, celebrated winemakers who, yes, are mostly men, but, more importantly, are generous to extend themselves to me to help me be the best I can be. And, in these moments, it's really never a "bros vs. bras" kind of thing. There are plenty of senior women winemakers here in Oregon who share in their knowledge and expertise, as well. There is a special spirit of generosity and fellowship that is uniquely Oregon - and it always transcends gender. Your latest wine was just released.... Where can interested buyers find your bottles? Because I am so small, I have limited distribution. Most people can order wine directly from me; there are some states that will not allow for direct shipping of wine. Orders can be placed via email leah@ljcwineco.com or phone 503-713-3277. I do not ship wine during the hot summer months (June - Sept). People can find out about my latest releases from my newsletter (sign up available on my website, or email me to sign up), Facebook page (please "like" my page! ), or on my website (the website is getting refreshed very soon) - it's www.leahjorgensencellars.com. Do you have any upcoming news on the horizon you would like to share? I will be starting a wine club in 2015 called Treasure Trove. Stay tuned for more information!